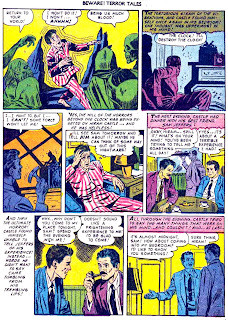 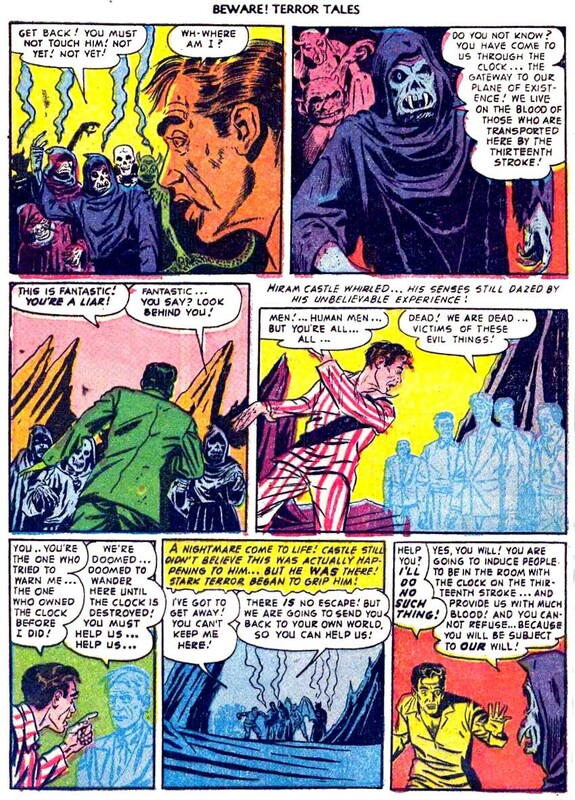 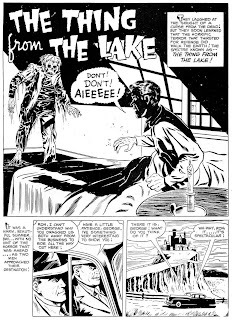 Pappy's Golden Age Comics Blogzine: Number 1252: Two Halloween horrors! 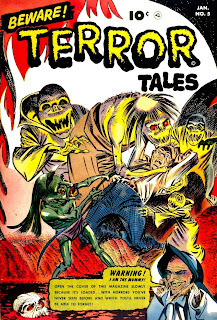 Halloween is Wednesday...and that means the little neighborhood beggers will be coming to the door for their tricks and their treats. 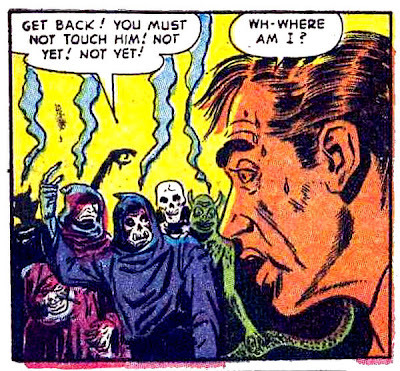 I found a bag of forgotten jelly beans placed in a drawer a few years ago. 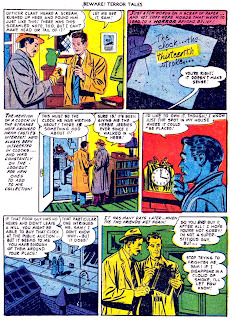 The kids will have to settle for fifteen-year-old candy from Pappy! 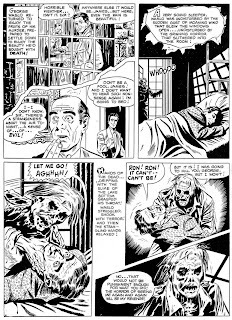 I have two Fawcett horror stories to celebrate Halloween. 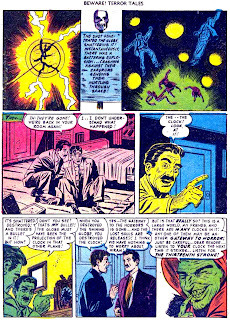 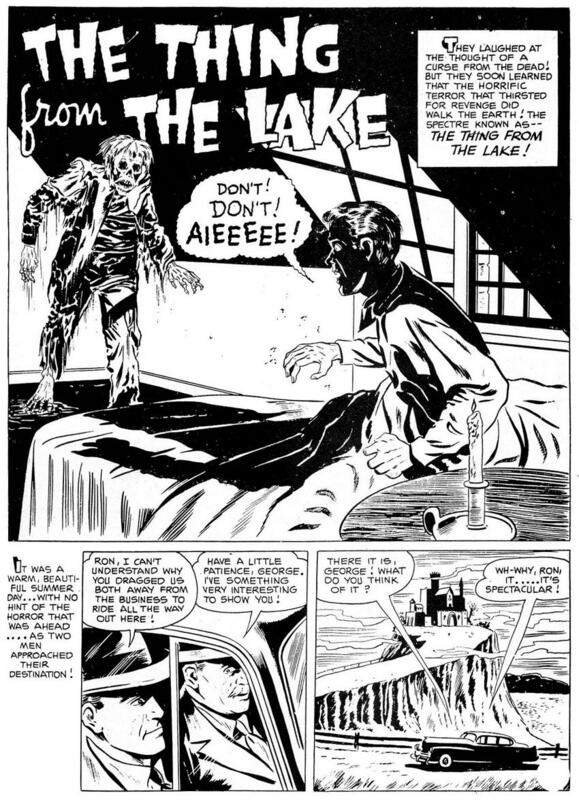 First up, “The Thing From the Lake,” from Strange Stories from Another World #3 (1952). 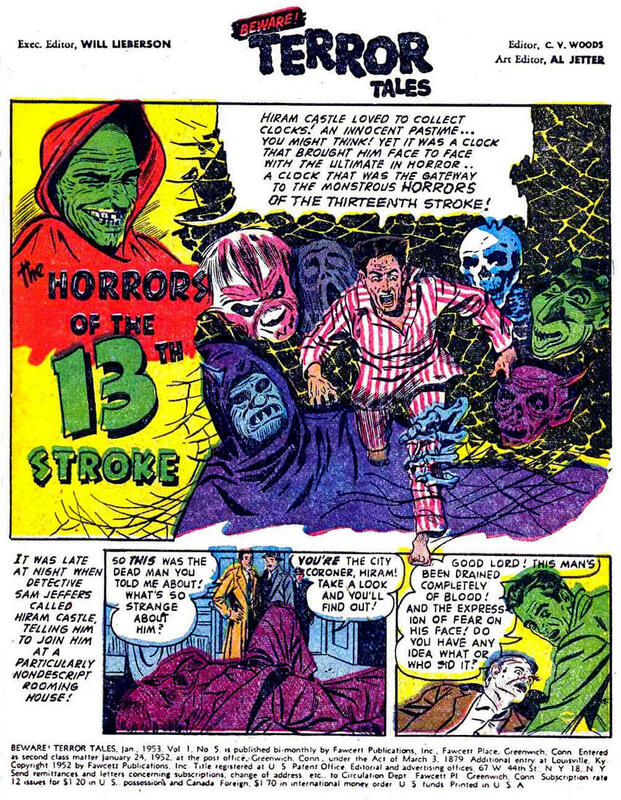 It's a tale of a castle, greed, and a slippery, slimy corpse using psychological torture as revenge. 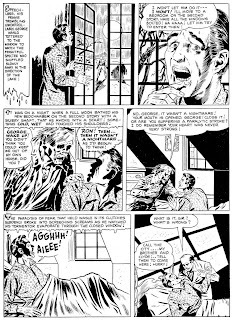 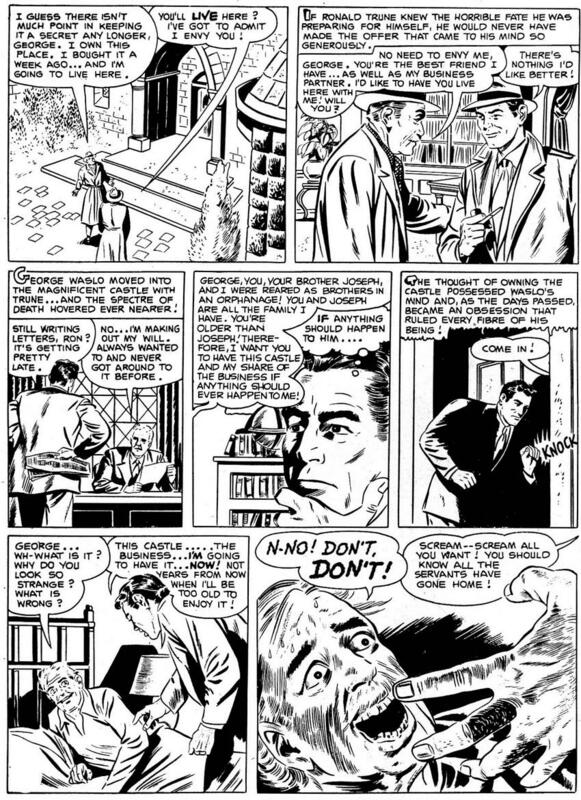 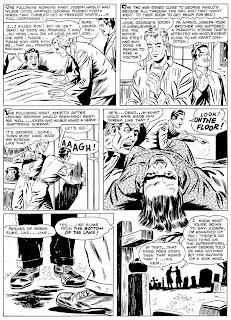 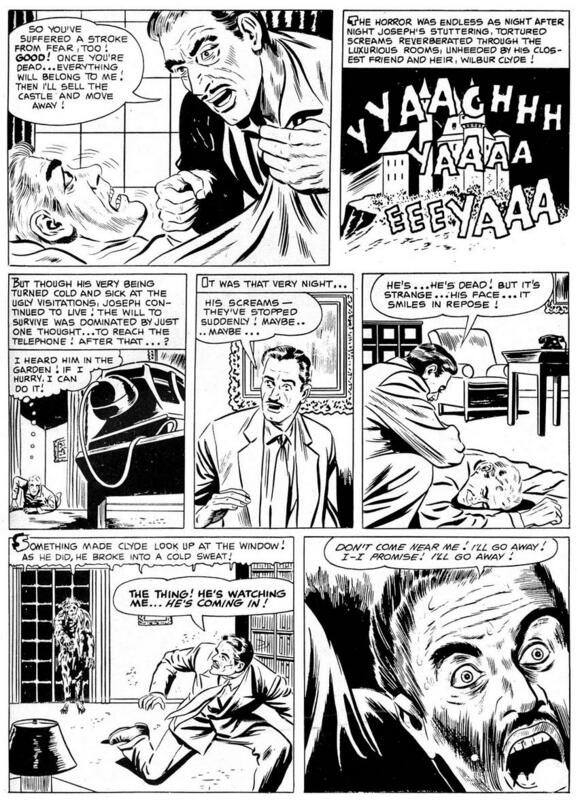 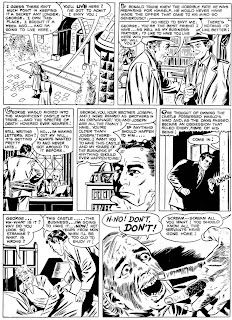 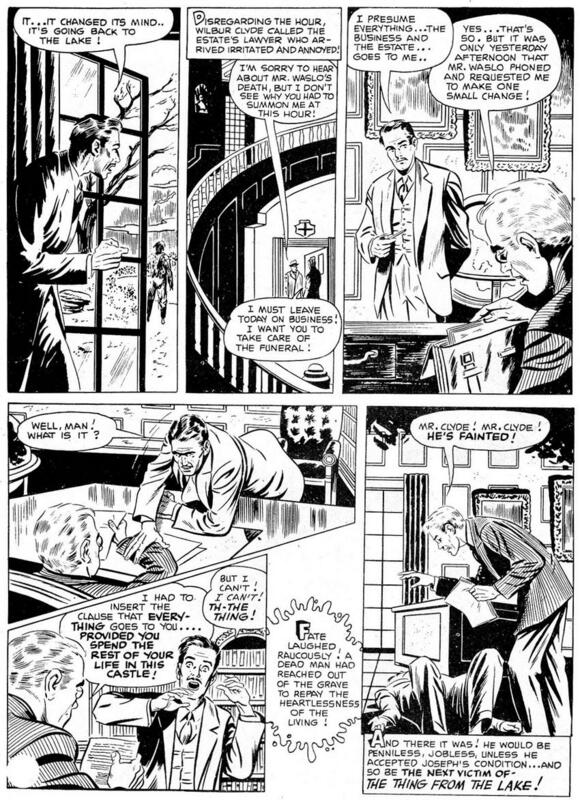 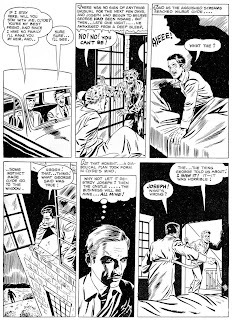 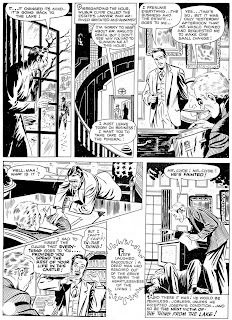 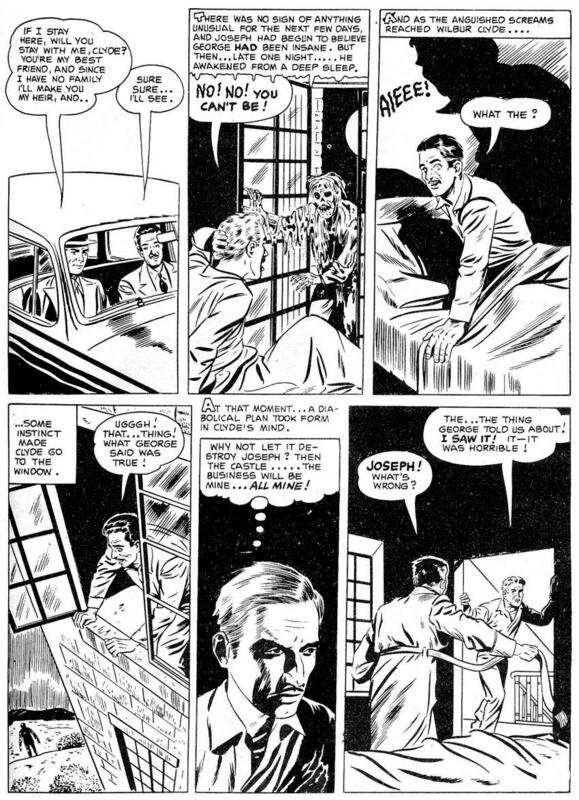 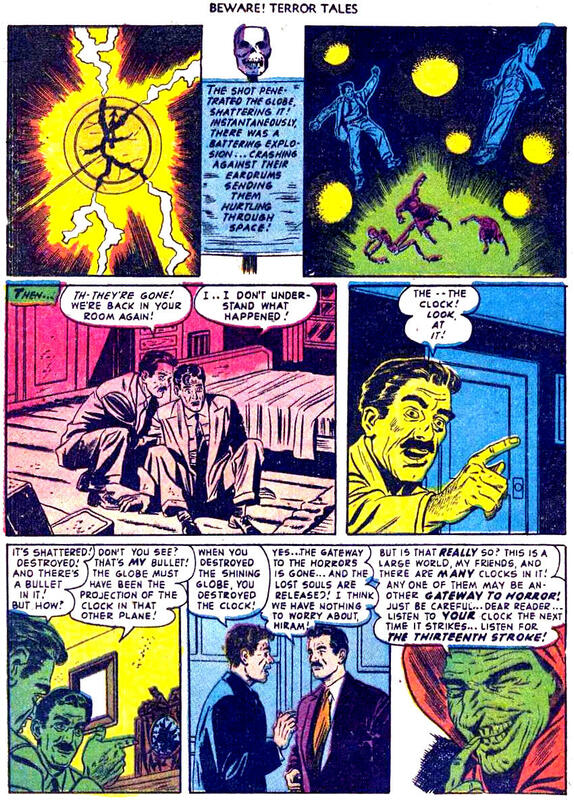 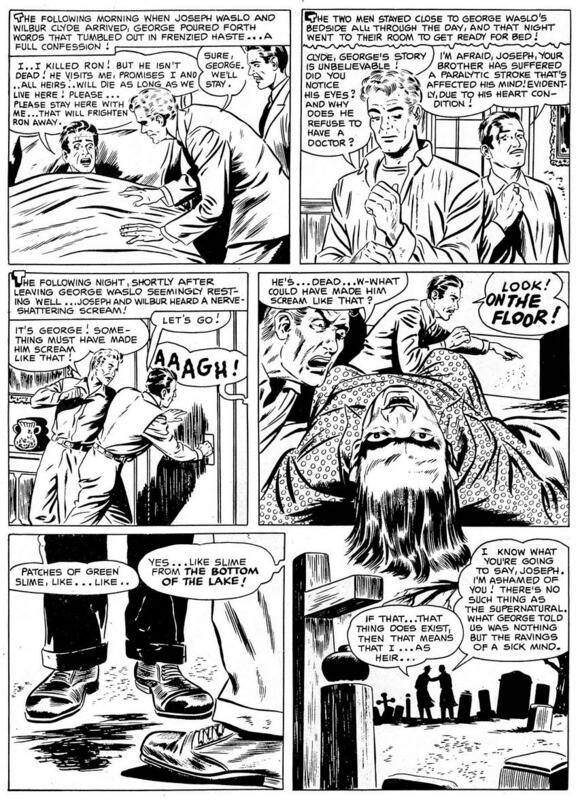 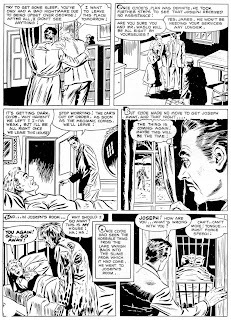 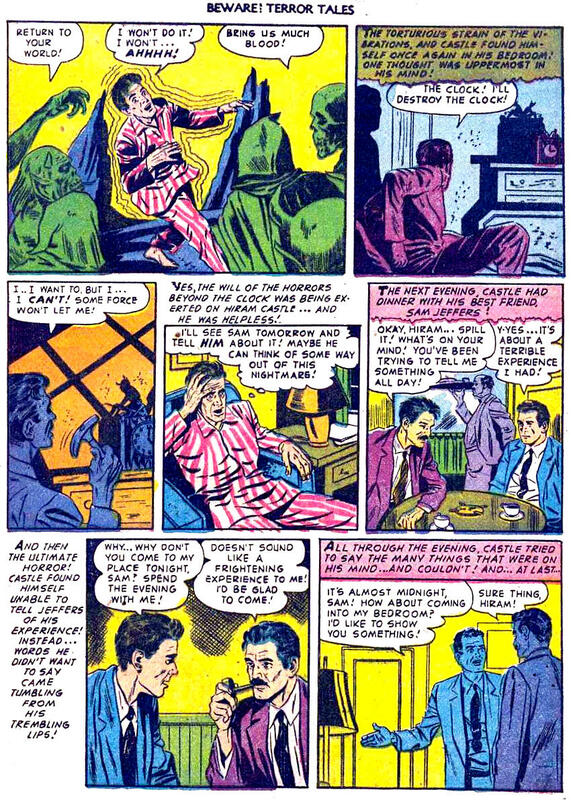 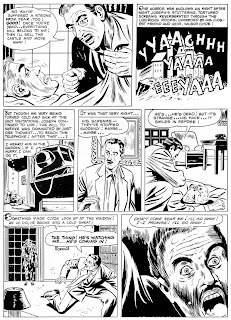 The sharp black-line artwork is from a downloaded version of the story done up as an online collection called Fawcett Classic Horror #2. 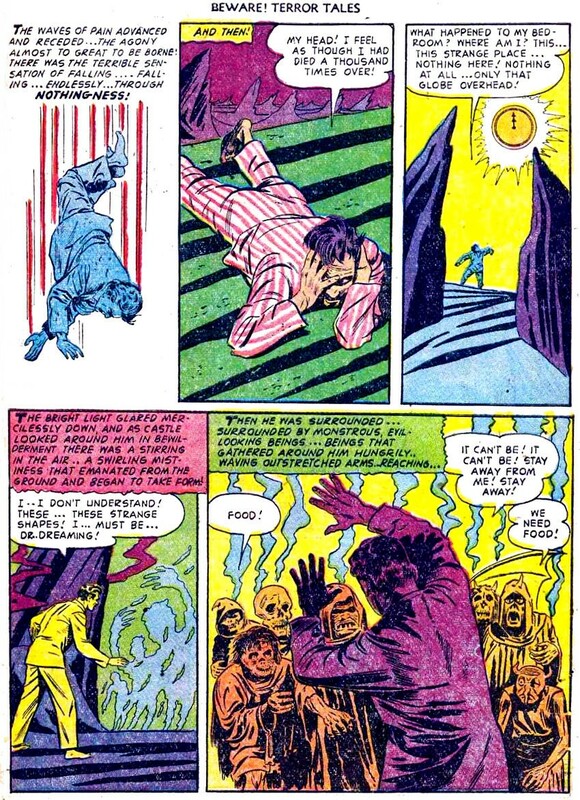 Some good person (and thanks to him!) 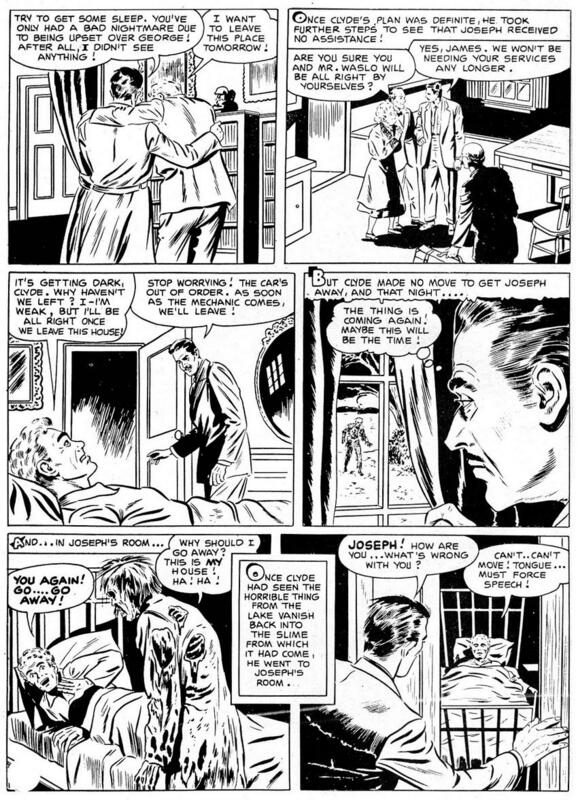 probably got the stories from UK or Australian comics, which printed them sans color. 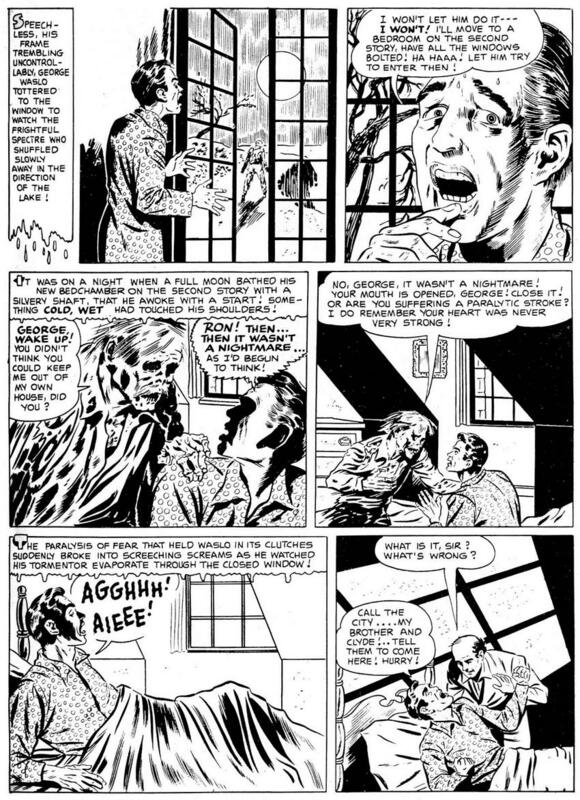 Next up, from Beware! 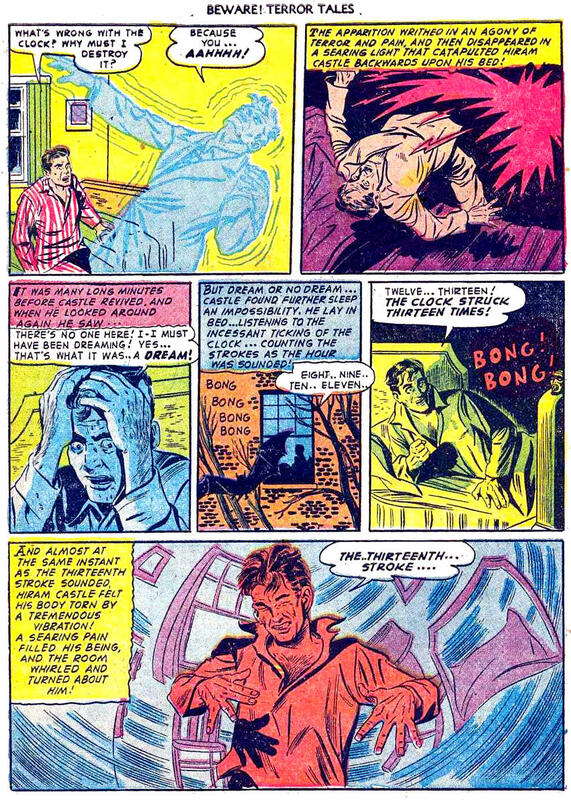 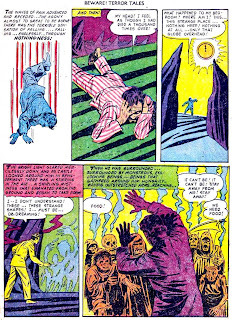 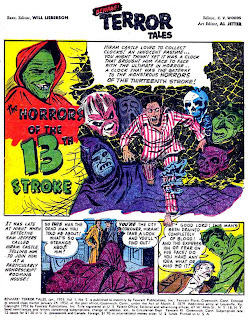 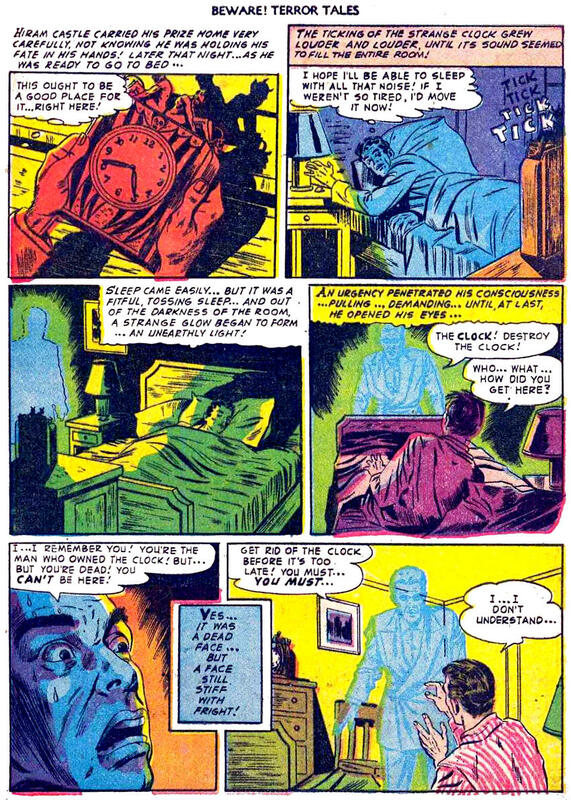 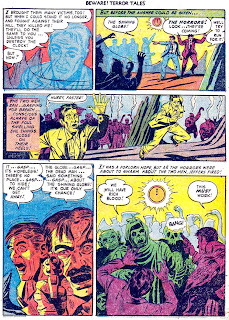 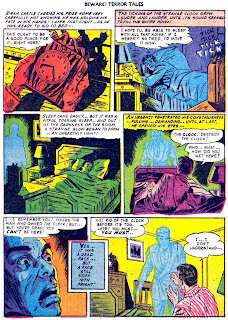 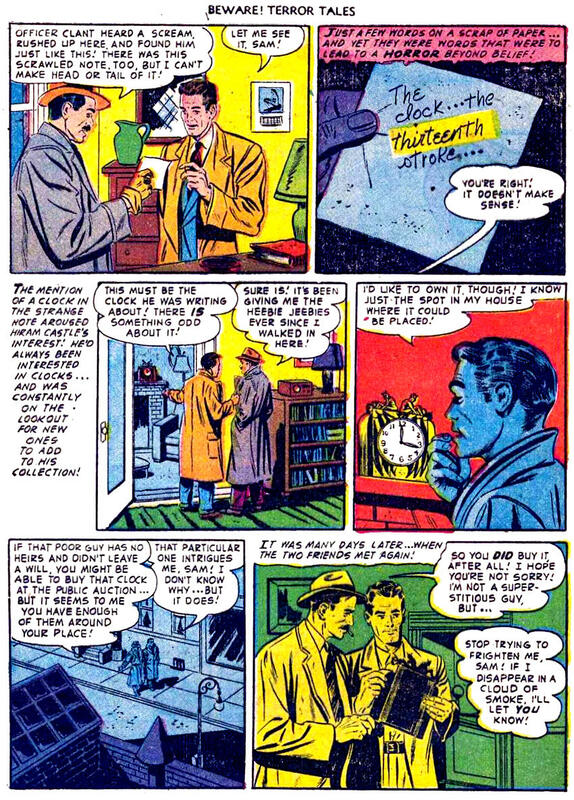 Terror Tales #5 (1953), a tale of a cursed clock, “Horrors of the 13th Stroke.” The Grand Comics Database lists ? 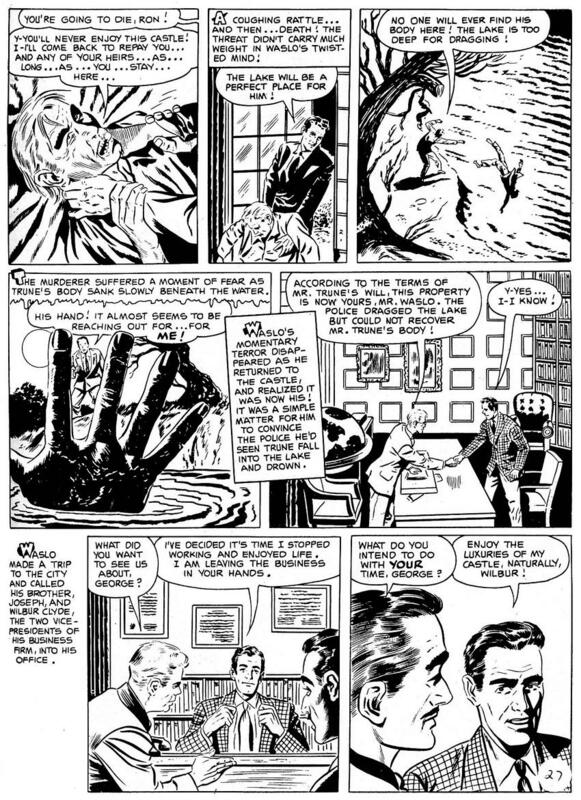 as the artist on this tale. 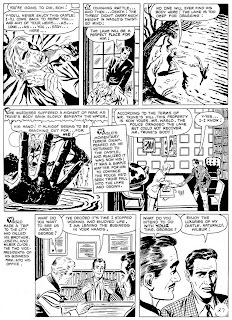 Karswell of The Horrors of It All showed his scans of the story almost four years ago, in January 2009, so I feel it's time (get it? 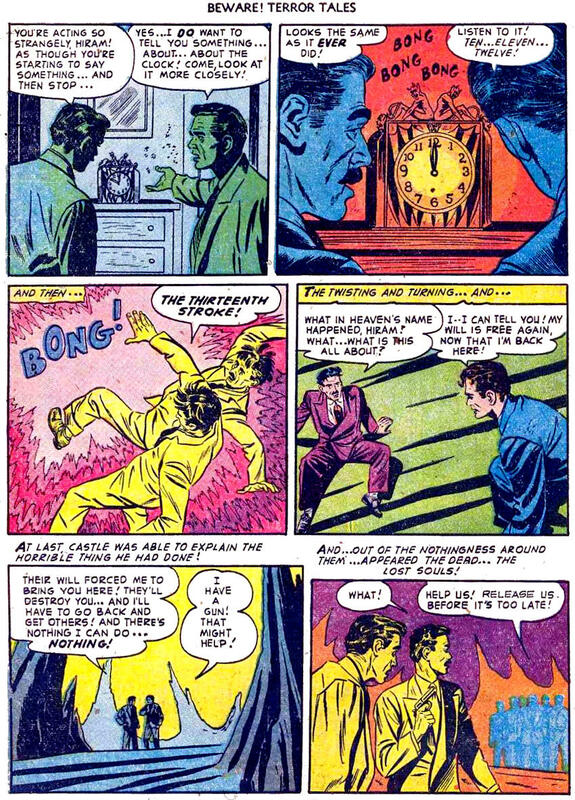 Clock? Time?) to see it again. 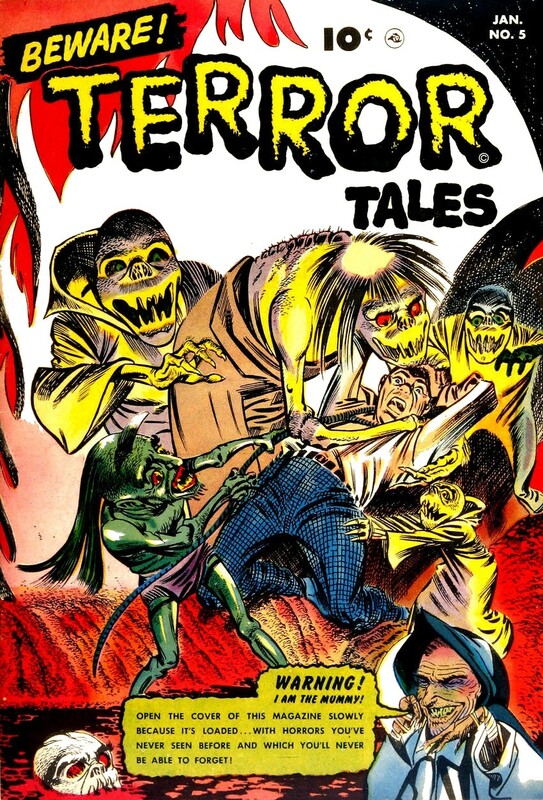 As a bonus, the nifty cover from the issue is drawn by Bernard Baily, who did some great horror covers of the pre-Code era.